At one point or another, you must have come across hydroponics, which is a process that allows you to grow crops indoors. One of the requirements is to have the best grow tent to use for the purposes of growing plants hydroponically. If you are not in a position to buy a ready to assemble the model, you can be able to build your own indoor grow room, which will serve the purpose. How To set up a grow room step by step Guide? Step 1: Soil or Hydroponics? Even if you are using the best grow tent, you will need to have a clear gardening plan. This is what I put as my first step, whereby you will need to be sure of the method of cultivation. There is an option of using hydroponics and the other option would be the use of soil. This is essential in your preparation for the indoor growing room. If you choose to use the soil, then it means that your garden will be outside, where you can easily access healthy soil. 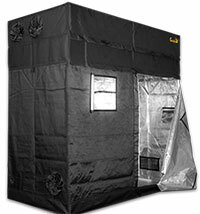 The grow tents have an advantage in that they allow you to grow plants in gallons and pots. Another significant issue that you will have to settle before you can continue with the setup is the space. With the growing tent, you can only buy the ideal size when you are certain of the available space. The reason why you will need to identify the location is to make the process of assembly easy. You do not want to build your indoor garden and then have to move it to a different place. You may be shocked to realize that the framework does not fit through your doorway. It is important to have the number of plants in mind when setting apart space for your garden. Generally, I advise growers to work with the rule of one plant per square meter, for bigger plants, or 25 smaller plants. The issue of having control over the environment should not be ignored and you will need to have access to the all in one grow tent without a problem. You need to have adequate space for all the accessories and also have room for maintenance and cleaning. Having finished the preparations, let’s dive right into the actual process of building your indoor plants growing room. You will need to start by putting together a frame that will be used as the indoor garden. When doing, you can choose the shape that appeals to you and ensures that you are making sturdy joints. You will also need to have some support bars, which you will use to hand the various accessories that are usually found on the high quality tent . You should be keen on the type of materials you are using for the frame of your grow room. The essence of a hydroponic grow tent is the fact that plants will get the perfect environment and this should be your goal, even with the indoor gardening room. As such, you should cover the frame with the ideal fabric. It is important to ensure that you have a tear proof fabric that will help in protecting your plants from any external interference. You will need to set up your ventilation for the grow room. Did you know that the reason why the hydroponic gardening system is popular is due to the fact that they allow you to have full control of the environment? You do not want to have to deal with mold and mildews in the grow room and this is the main objective of having a proper ventilation. Fans are an integral part of the air control as they will help in air circulation, which will help the plants to grow in a healthy manner. With proper setup, you will be able to contain the temperature and humidity to the desired levels. A simple way of ensuring that your indoor garden is ventilated is by cutting a hole on top of the closet. You will notice that the quality tents come with filter strips and observation windows, which are essential. If you cannot cut through the material that you have used, then you should find a way of living the door slightly open so that there can be proper airflow. Ducting and carbon filters can also be included as part of the ventilation. 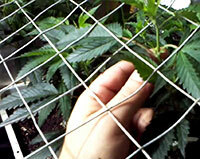 Read this Article to know more about How to Set Up Grow Tent Ventilation? The walls of the indoor gardening room are essential and need to be prepared for the process. This will be done by ensuring that the walls are reflective. 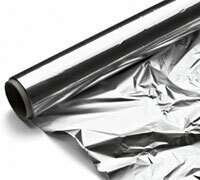 This is why the indoor plants growing systems come with a Mylar lining inside the canvas, to make it reflective. For the walls of the grow room, you can choose to use mirrors or the bubble insulation, with reflecting capabilities. This is one of the ways that will help your plants to grow in the right manner. The light that will be emitted by the grow lights that are installed will be intensified by the reflective walls. As such, every part of the plant will have sufficient light. You can choose the type of lights that you believe will be more effective. I have noticed that most HPS and LED grow lights come with built-in fans that will be useful in air circulation and regulation of the heat. Fluorescent and HPS lights are known to become quite hot and they may require additional fans so as to prevent any burning of the plants. You should use rope ratchets to hang your lights as this will allow you to adjust them accordingly, as the plants grow. As we had highlighted earlier, the beauty of the hydroponic grow tent is that it will give you full control of the environment and this should be the case with the indoor grow room. Some of the key factors that you should consider controlling include temperature, C02 and humidity. These are climatic conditions that will vary from place to place, depending on the region that you are in. There are accessories designed to help you set up a conducive atmosphere for the plants. You can choose to have a humidifier but ensure that you have it cleaned often. As for the water that will be in the humidifier, you should have it changed it on a daily basis and this is critical. What do I mean? If you allow the water to stay there, it will be a breeding place for pathogenic microbes, which will be detrimental to your plants. You can add the ideal number of fans, depending on the environment that you wish to create. Step 9: Collection Rack or Screens? If you made a choice to grow plants on the soil, then you need to have a collection rack. You can use wire shelves to make the collection rack in your indoor grow room. This should be at the bottom of such that the plants will be able to rest on the rack. This will save the plants from touching the ground and as such, they will have proper airflow. As for cleaning, in the same way, that an all in one grow tent comes with a removable floor tray, the rack makes it easier to clean the room. You will be able to remove all the debris and other unwanted items from the room, without touching the plants. You may also opt to use the screens and in this case, you need to find one that will fit inside the room. For younger plants, the screens may be ideal as they will help the plants go through the vegetative cycle, without any problems. You can have the screen attached to the collection rack or the walls of the indoor grow systems. Having followed all the steps carefully, you are now ready to start farming. You can plan to place the plant’s inside the grow room. 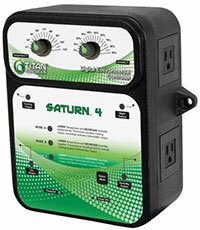 However, you should run a safety check so as to ensure that all the installed accessories are working as expected. It is paramount to test the environment so that you can be sure that it is ideal for your crops. Space out your plants in such a manner that they will not be forced to compete for some essential nutrients. If you are using pots, you should have them 3 inches apart inside the growing tent. There you have it! You can easily watch the plants are they thrive inside the grow room that you have made from scratch. You need to ensure that you are not interfering with the environment as this may affect the plants. Reduce the number of times that you will go into the room so as not to contaminate the plants. With the indoor grow room system, you can actually grow any type of plants that you desire, without having to consider the season. Assembling a grow tent from scratch is not an easy task, but since I have guided you, you will have the perfect indoor gardening room. You do not need to have a lot of space as you can work with the space that you have. 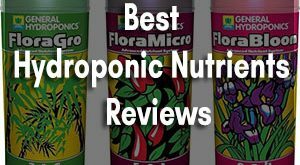 If you need to buy the best grow tent, check out some of the models that I have reviewed in my Previous articles. Was this guide helpful? I would love to know and also feel free to share it around. Very informative article. I have not thought of hydroponic gardening before. Thanks for the information.